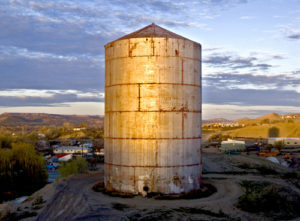 Musicians are working to save “the tank,” an unused water storage tank west of Rangely near County Road 41. The space, which musician and composer Bruce Odland calls “a sonic wonder of the world,” has captured unique reverberations of sound for more than three decades. If Friends of the Tank can raise $42,000 by the end of March, the group will restore the tank for community use and education and as a recording space for musicians around the world. To find out more or donate to the cause, search “Save the Tank” at www.kickstarter.com. RANGELY I When musician and composer Bruce Odland first came to Rangely in 1976, it was the last stop of the Chautauqua Tour, a traveling arts festival funded by the Colorado Council on the Arts and Humanities. Odland carried sound equipment around town for three days, recording the sounds of pump jacks and big rigs, documenting the never-ceasing life in the oil fields. Assuming that the men meant the guy who records sounds, he said he was. The driver headed west of town and turned onto County Road 41, Odland said, adding that the driver “gunned” the engine as the truck crossed the pavement and cruised up the dirt hill leading to a 60-foot water tank with the words “Rio Grande” painted across the outside. 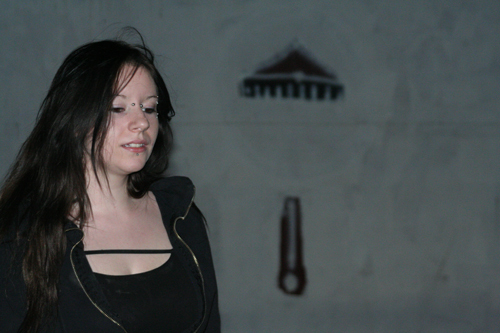 Its sides were scarred with graffiti and litter covered the surrounding ground. Odland still remembers seeing the tank for the first time. What happened next changed the way Odland has looked at sound ever since. The men told him to get into the tank and turn on his recording equipment. “It’s a surprise,” they answered. Odland entered the structure through the two-foot-wide portal and waited. The reverberations were like nothing Odland had heard before. He said he returned later that night to slide ºa six-foot-long Japanese harp through the portal. He then recorded the notes as they wound their way through space, expanding and shifting until they became something different from the original creation. During the next three decades, Odland and dozens of other musicians have returned to the tank, experimenting with a variety of instruments, voices and recording techniques. Odland, who installs sound systems around the globe, equates the tank to a Taj Mahal or Great Pyramid — The Sistine Chapel of the acoustic world. 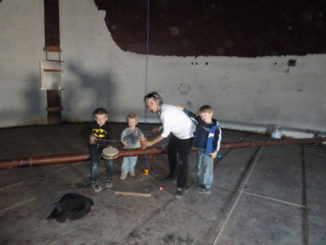 In April 2012, the musicians learned that the structure might be sold and taken apart. 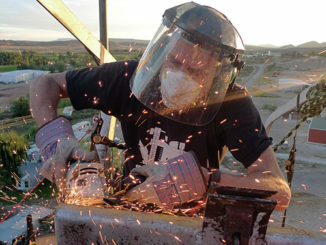 Enter Friends of the Tank, the non-profit group launched by Odland to secure the tank’s future. The Kickstarter campaign begun by the Friends of the Tank on March 9 has reached one-third of its $42,000 fundraising goal. If the full amount is raised by March 31, the tank will be cleaned and secured, then furnished with solar power and an Airstream trailer control room for future performances and education. 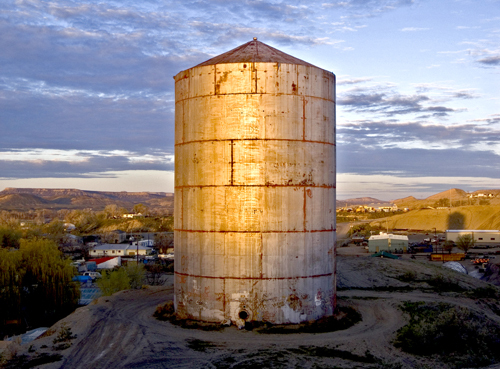 “There’s this gift sitting on the hills there, and the people of Rangely should be a part of it,” said vocalist Lois Lafond, who recorded with many of the tank musicians in the 1980s. Now she’s raising awareness of the campaign along with the local volunteers. Lafond said a major part of the outreach program will be educational, and that could mean bringing musicians into the schools and hosting field trips to the tank so the children could experience sound in a new way. Samantha “Sammi” Wade, a 22-year-old Rangely resident, knows about listening. She’s been doing it since she was a kid, when she would cross County Road 41 from grandmother Barbara Wade’s house to hear the musicians perform in the tank. Last summer, while Odland, Mark Mccoin, Mark Fuller and Max Bernstein were recording in the tank, Wade entered without saying a word, lifting her voice instead to create “Sammi’s Song.” To those present, Wade embodied a new generation that could appreciate and use the tank’s power if given the opportunity. Wade has come by her passion honestly. For decades, her grandparents’ home was a place where tank musicians ate meals, caught up with each other, tried out new songs and grabbed a few hours of sleep. The home also supplied power to the tank when artists held a recording session. Now, the Wades and locals like Cheri Perry and Brittany Skelton, among other Rangely folks, are pushing to save the tank, too. “I think if people could just hear it, they would understand how special the tank is,” Sammi said. Now, thanks to the Friends of the Tank, people can. The Tank Channel, on the Internet at www.tanksounds.org , adds clips daily from recordings spanning the last three decades. Until March 31, backers can donate to the cause (and earn bonuses like CD downloads) by going to www.kickstarter.com and searching “Save the Tank” or they can check out “tanksounds” on Facebook for updates.